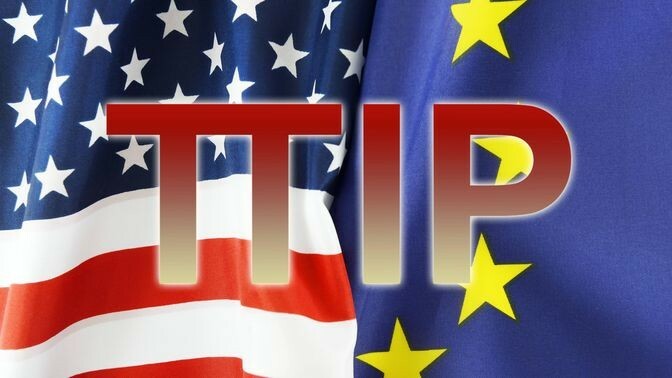 The 14th round of the Transatlantic Trade and Investment Partnership (TTIP) negotiations between the EU and the US took place from 11 to 15 July in Brussels. The negotiators discussed the three pillars of TTIP: market access for EU and US firms, regulatory cooperation, and rules of trade. In particular, the EU submitted proposals in a number of areas, including energy and raw materials. This chapter includes proposals to promote green innovations and trade of green technologies moreover the EU Commission hopes to remove the existing export licenses in the US on exports of gas because this could help in diversification of energy sources and therefore contribute to energy security in the EU. For the purpose of the Chapter, “Raw Materials” refers to materials used in the manufacture of industrial products, listed by the corresponding HS code in Annex I to this Chapter and it includes “wood and articles in wood”, “cork and articles in cork” “and "pulp of wood”. Concerning “Sustainable renewable energy”, the agreement TTIP refers to a type of energy produced from wind, solar, geothermal, hydrothermal and ocean energy, hydropower, biomass, landfill gas, sewage treatment plant gas or biogases. During this last meeting, further discussions were related to the development of a sustainable and safe low carbon economy, with a special focus on investment in renewable energies and energy-efficient solutions. To this end, the Parties evaluated the opportunities related to facilitate and promote trade and investments in environmental goods and services, such as sustainable renewable energy goods and related services, and energy efficient goods and related services, including through addressing non tariff barriers related to such goods and services. Furthermore, Parties evaluated the progress in the Environmental Goods Agreement (EGA) and how to cooperate in relevant international fora, such as the UNFCCC, the Paris Agreement, and the Montreal Protocol on Substances that Deplete the Ozone Layer. The ambition is to seal a deal before US President Barack Obama leaves office at the turn of the year.